The turkey’s been roasted and the last of the festive party food leftovers have been reheated. 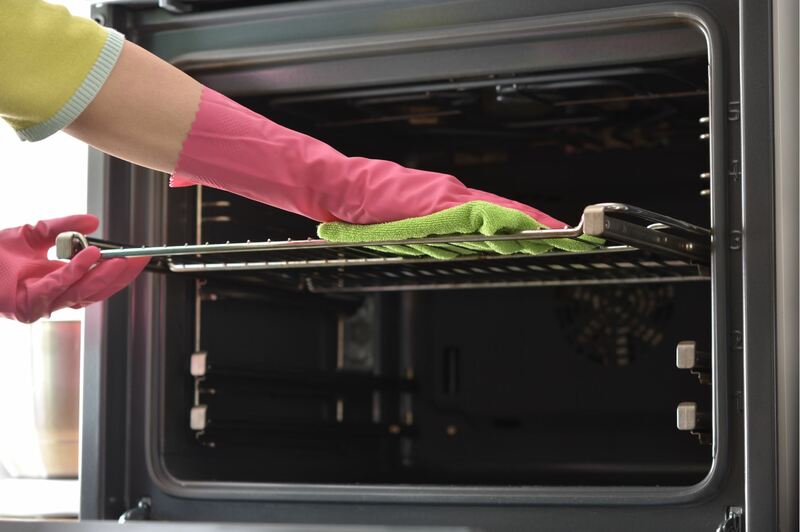 With all the fun and festivities, it’s unlikely you’ve had the chance to give your oven a much-needed deep clean, and let’s be honest, it’s up there with one of the most hated household cleaning tasks. We’ve all been there – thick black ground on grease and grime that collects on the bottom of your oven. But if you do a daily wipe over after your evening meal with a damp cloth, you should be able to keep the build up at bay. Pop on your rubber gloves and use a little multi-purpose product every day, and it will help make your deep clean less of a daunting task. Oven Pride because of its unique bag cleaning system which offers unbeatable results. It’s an easy to use product but make sure you closely follow the instructions and wear the gloves provided. Teepol oven cleaner is available online only but is so handy to use. Just have a quick spray after every oven use, wipe over and then rinse off with a soapy warm cloth. Pour on a thick layer of bicarbonate of soda, especially on the bottom, until there is about 1/4-inch layer of bicarbonate of soda paste. If any of the baking soda is still dry, wet it with the water bottle. Once the bicarbonate of soda has been applied, add some neat white wine vinegar to a spray bottle and then liberally spray this all over the oven so it reacts and works with the bicarbonate of soda. Close the door and leave for a few hours. The two products work amazingly with each other and will start to lift all the dirt and ground in grease. It’s important to make sure that the bicarbonate of soda residue has been completely removed before using the oven as any remaining bicarb may smoke if left in contact with the heating element. For the wire racks use wire wool and washing up liquid as it brings them up like new.